I have stumbled head first into the Luxury World as of 2017 where my all time goal for years of getting that Louis Vuitton Speedy 30 was fulfilled thanks to my thoughtful boyfriend Ryan who kindly gifted me with my first Louis when we were in Germany in February in 2017. 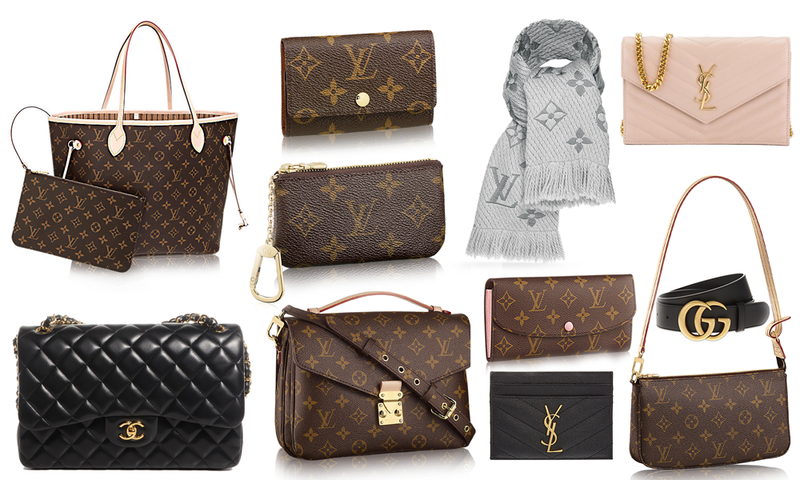 Since then I now own not one but THREE Louis Vuitton Handbags and a Wallet/Purse and my Wishlist has grown. Here are a couple of items currently on my wishlist. It's something about this bag that 3-4 years ago I didn't quite understand why so many people were obsessed with this bag. It's only recently in the past 2 years I have had a love relationship with it and I was sure it would be in my collection after I had gotten my Speedy 30. I would have loved the Mono with Rose Ballerine Interior but since that was seasonal and very popular, I would probably go for the Mono with the beige interior as it's easy and goes with everything. It's a large tote, fits everything in and let's be honest, I have been searching and searching for the perfect tote bag/work bag and this screams "Hi, Pick me"
There is talk saying that this is a discontinued piece and it isn't the easiest to find but it''s on my wishlist. I like the idea of having a small compact bag easy for day/night time clutch and holds quite a bit. My mother back in the day always had her keys in these key holders and let's face it the dirt on keys is disgusting. I would definitely go for a basic key holder just as i'm sure the Rose Ballerine would get dirt so easily inside. Everybody raves about this handy piece. It's perfect for those just starting into luxury. I'd like to use it for coins and go-to cards. I've had my eye on this for awhile now. I have held this wallet in my hands just when I purchased the Rosalie Coin Purse. I loved the look of a large wallet and if I had gone 2-3 years ago I would have definitely walked out with that and not the Rosalie. I had been using a small wallet/purse for awhile so going back to a large wallet/purse would be difficult but It's such a lovely wallet, definitely on my list and would be lovely with the Neverfull MM. The bag my mother would steal from my closet. We had a conversation and we happened to talk about cross body bags. After looking on the Louis Vuitton website she loved this, compact with many compartments and the monogram is subtle and goes with everything. I agree with her but the popularity and the price point is a little steep for me at the moment but is still on my wishlist as it's just the perfect size for a cross body bag. This scarf in the Pearl Grey is utterly gorgeous. Saw this in store last year and was literally gold. It's such a lovely fashion accessory piece from the Fashion House and would be a lovely Gift for anyone. I love scarfs so it's on my list for that reason. Something about the "YSL" logo just has me swooning for this fashion house. The simplicity of this card holder is just lovely. The Louis Vuitton one is €140 and to be honest isn't as pretty as this one. This screams "buy me!" Every time I see this on Selfridges, I'm drooling over the gorgeous black with gold hardware or the Rose antic with the Gold Hardware. It's such a gorgeous clutch great for weddings or a lovely night out. Again another reason to be on my Wishlist due to it's simplicity yet iconic bag. I don't wear belts - period. But, there is a but - I love this belt! I've seen many photos on Pinterest, Youtube, Instagram and more. It's just a simple gold double G leather belt. Simply Gorgeous end of story. The creme de la creme. The lust for a Chanel Bag, I think any girl would lust over a Chanel bag. It's something my nan always loved. The Classic Jumbo Double Flap is not the cheapest but is a classic. I have to admit, the fact that these houses go up in price each and every year is insane - it will be an investment in itself. 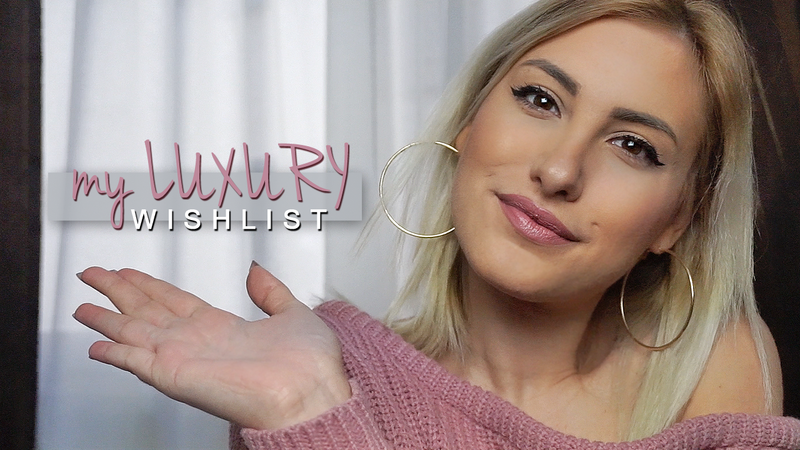 What's on your Luxury Wish List?